Guinea pigs are pretty fun pets to have around the house because they’re relatively easy to take care of. Apart from attention all you need to provide it with is the right food, lots of water and most importantly a good living space. Yes, the latter is very important if you want a healthy and happy guinea pig. Special attention must be given to its place of habitat. Fortunately for you, this is one of the few pets you can actually contain in one spot. 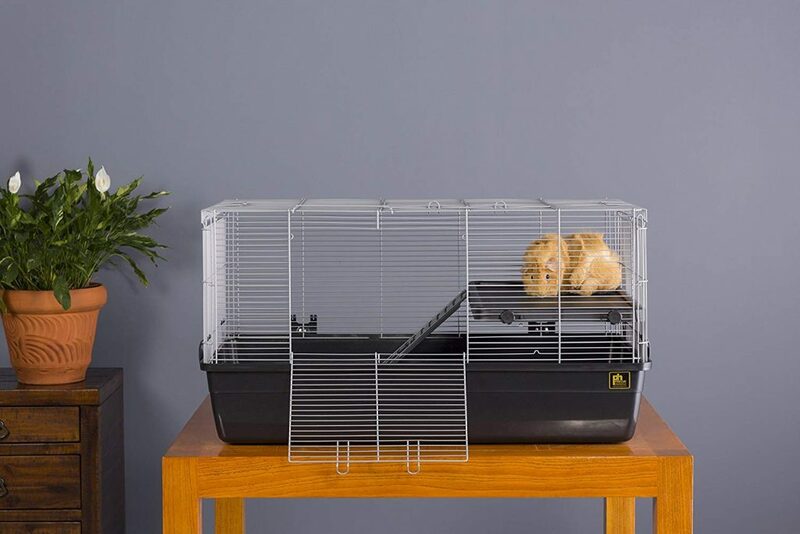 And below we’ll give you pointers on how to pick the best guinea pig cage for your new pet. 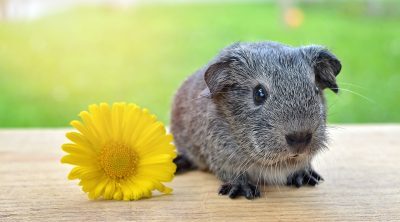 Before investing on a home for your guinea pig ask yourself the following questions. Since it’s in a confined space the least you can do is pick a large cage. Why not give it enough space to run around and explore? 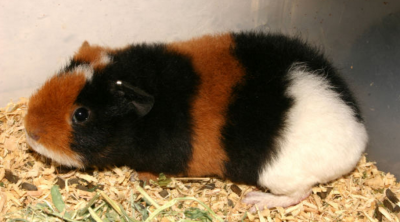 Experts suggest that for one guinea pig, cage space of around 7.5 square feet will work just fine. But if you have extra space—and cash—for a larger cage it will benefit your pet. The bigger the better. The material used in the construction of this cage is very important as it determines a lot of factors including comfort. As you’re aware, a house is only as strong as its foundation. That’s why you must particularly give special attention to the floor build quality. Of all the materials available you must stay away from wire flooring. Sure, it may be easier to clean but this may be at the expense of your pet’s health. Bear in mind that guinea pigs have very fragile feet which must be protected. Running around on wire flooring will cause their feet to swell and get infected. In extreme cases it might actually cause bumble foot. Does your cage have high walls? By high walls we’re talking about anything between 12” and 14”. If you answered yes then a lid isn’t really necessary. Anything lower and you need a covering. Where exactly do you plan on placing the cage? If it will be outside then a lid is necessary to block items that accidentally fall or get blown by the wind. Children: For the same reason listed above, you can consider a lid if you have any small children around the house. You don’t want them grabbing and hurting the tiny animal. 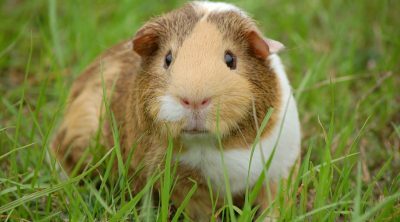 Pets: If your pet guinea pig isn’t the only four legged family member then a lid is crucial. Particularly if the other pets are dangerous: It’s better to be safe than sorry. 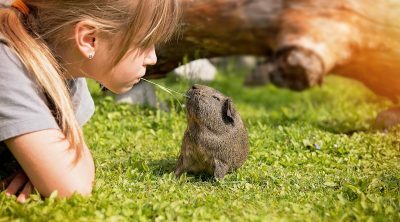 Size of wire gaps: Smaller wire gaps are a much safer option if you don’t want your guinea pig getting stuck in the gaps—or escaping. Ventilation: Your pet will definitely appreciate lots of clean breathing air. Opt for one that provides adequate ventilation so it doesn’t suffocate. Cleaning: A clean living space free from germs and bacteria is definitely a safer home for your pet. If you can get a cage that’s easy to clean, that’ll be ideal—if it’s effortless to clean you’ll do it more often as it won’t rob you of too much time. Safety clips: If it has doors make sure there are safety clips so your pet doesn’t push it open. 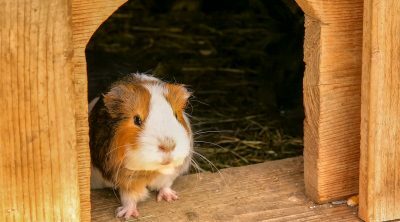 Before we give you a few recommendations, keep the following tips in mind when dealing with guinea pigs and their homes. Want to purchase a double story home for your pet? Your guinea pigs will find multi-story level cages quite fascinating. This just means more room to play in—and heights to jumps from. However don’t make the levels too high. A fall from a place higher than 5” may result in serious injury to your pet’s legs and feet. Guinea pigs love attention—lots of it. Make sure you place its home in a place the family frequents throughout the day. The hallway or lounge area are good examples of “high traffic” locations. Ideally you must be able to easily access your pet with ease. Pick one with lots of openings but just make sure they’re securely fastened. Based on this advice, select your favorite from below. Here’s one option worth considering for your guinea pig thanks to its sturdy design. This cage from Prevue Pet Products was specifically designed with small animals in mind. With a tight wire spacing of 3/8” your little friend won’t be escaping from their home easily. 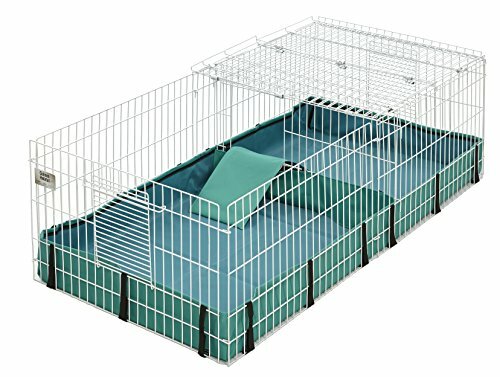 Your pet will have more than enough room to play around in this large cage which measures 32” x 19”. The walls are 17” tall so your pig will be kept securely inside. You’ll appreciate that it has two large openings for easy accessibility. Our only major concern with this cage is there’s only one safety clip located on the door so your pig can easily push it open. Looking for a posh living space for your little pet? 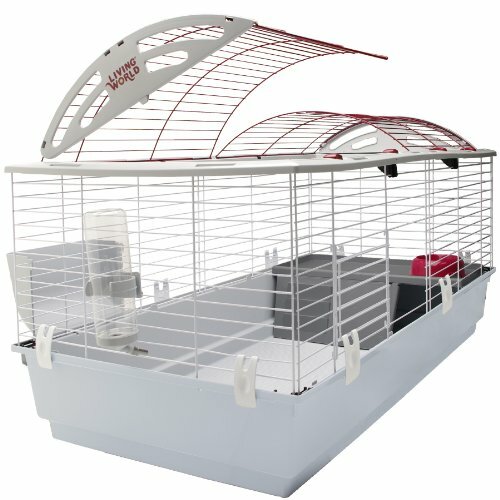 This Delux Living World cage is the epitome of comfort and style. The cage is elegantly styled and features an arching red wire top. The cage consists of an upper wide frame. On the top floor you’ll find it opens into two separate parts for easy access. The bottom base is made of plastic for your pet’s comfort. It’s well ventilated which is another plus. Measuring 46” x 22” you can tell your pet will appreciate all the space this cage has to offer. It also comes with a hay guard and a water bottle which is drip proof. However the water bottle is made of cheap quality material but it’s not a deal-breaker. 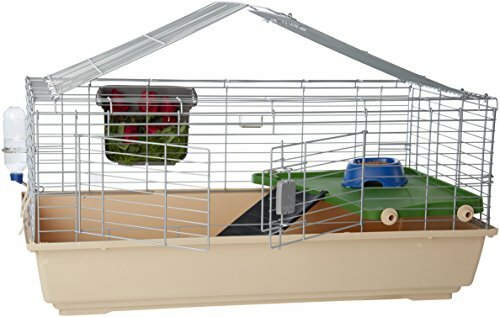 This pet habitat will provide your pet guinea pig with both comfort and safety. The upper frame is made of wire iron which is proof of its durability. The tenant can run around on the comfortable base made of PP plastic. 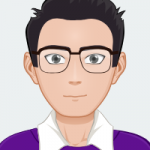 You can easily access your pet via the two access points located on the upper frame. The large openings also make it easy to clean and change the bedding. Like the Living World habit, it also features a balcony plus it comes with a water bottle though it’s on the smaller side. However what sets it apart is you can literally set it up in seconds—with no tools required. 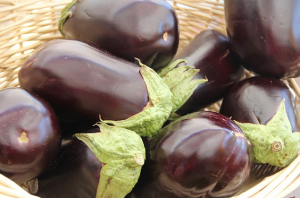 There are different sizes to pick from depending on your budget. The largest is quite roomy and measures 40” x 21”. Your pet will have ample space to play and run around. The walls for the largest cage are 19” long so it won’t be escaping any time soon. MidWest specializes in creating homes for guinea pigs so every cage is designed to ensure the pig is kept healthy and happy. 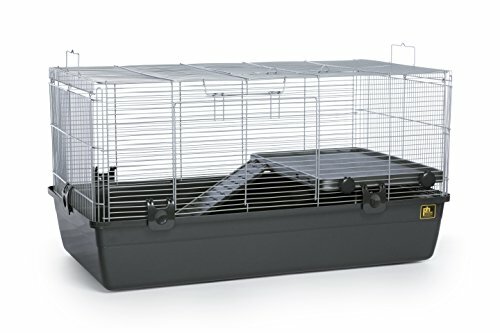 First off, the cage features a multi-access folding top that keeps your pets safe and secure in this enclosed space. A dividing panel separates the clean and play area and is kept in place with a lock. The base is lined with PVC canvas which isn’t only leak proof but washable. This takes care of your cleaning concerns because it’s easy to clean. The canvas lining also provides protection for your guinea pig’s feet which are sensitive. You can use it outdoors if you so desire—after all, fresh air is always a good idea. 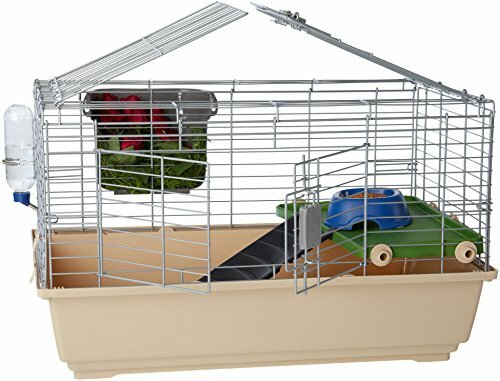 This cage provides eight square feet of play area for your pet making sure it has enough room to run around. The sides are 14” high so you won’t have security concerns. It’s pretty simple to set up in just a couple of seconds. However we’re really worried about its stability. Luckily this can mostly be solved by placing it in a corner. Are you looking to replace the canvas bottom in your Midwest habitat? You can consider this panel from the same manufacturer which is reasonably priced. However it still has the same quality as all MidWest Products. It is a durable, leak proof and hand washable PVC-lined can as bottom that allows for easy maintenance. This bottom includes Velcro tabs in multiple places to attach the canvas bottom to the guinea pig habitat to ensure a secure fit. With this panel it can fit models 171 GH and 171 GHP only. This means it may not work on other cages not from MidWest. Like all Midwest products it also comes with a 1-year warranty. You can’t compare cages without discussing the Kaytee habitat. Kaytee is well known for its durable products and this cage is no exception. It features a unique design crafted to provide your pet with a secure living space. Your pet won’t be able to nibble through this chew-proof wire so it’ll definitely last long. For security, the doors are kept secure thanks to the locking side latches. You’ll also appreciate that it’s pretty easy to clean. This is because the scatter less base is removable. The same base is also simple to replace—it’ll literally take you a few seconds. This habitat comes with few accessories including a food dish and a water bottle. You’ll also get a sample of Kaytee Fiesta guinea pig food for your pet to taste. But that’s not all. It also comes with clean and cozy bedding—all for the same price. The only downside is the cage space measures 30” x 18” which makes it smaller than most habitats reviewed above. With all the props included, if it was slightly larger it would have been a winner. However some feel it’s still large enough for one inhabitant. Which one will you make your pig’s new home? We would highly recommend the Living World Habitat because of the quality, comfort and security it provides. However if you’re working on a budget the MidWest is also a good option. 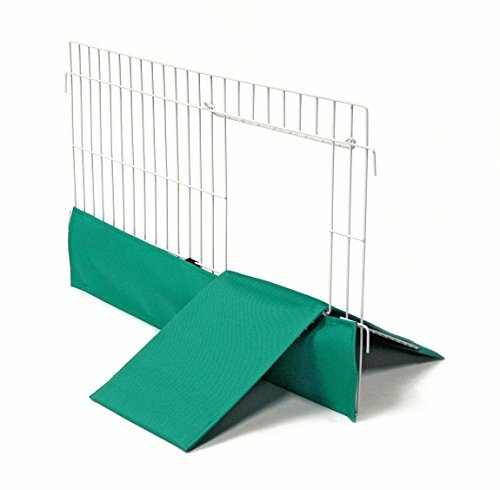 Apart from being affordable it’s also spacious and designed to protect your pets’ feet as they run around. Whichever you choose, make sure it’s safe and comfortable for your little pet. Plus, accessibility is non-negotiable. 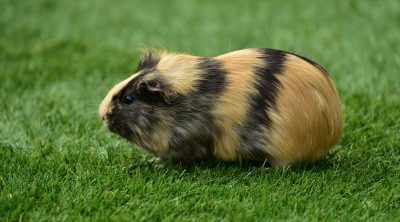 Given the above information are you now ready to look for your guinea pig’s new mansion?